Neat, neat story! Thanks for sharing. I love the signs of new growth. 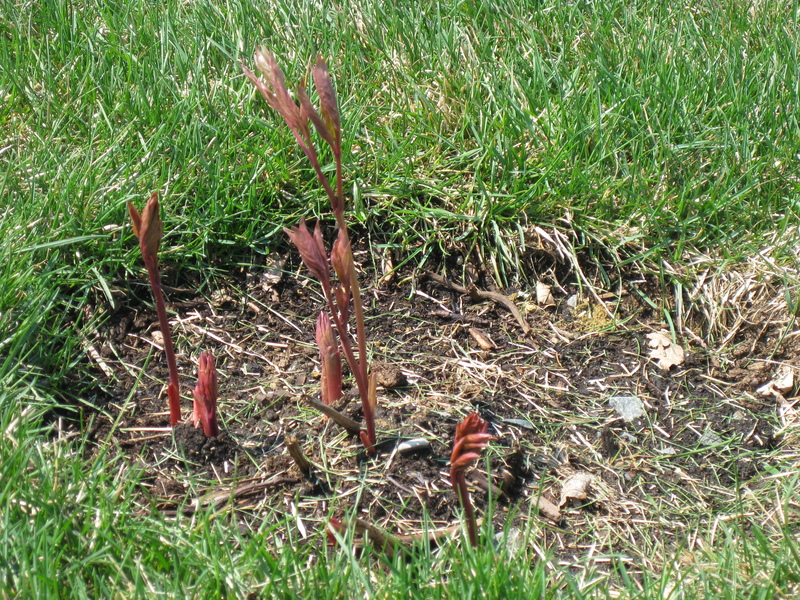 I check out your blog everyday so it’s a treat to see the stiring’s of blog life…sort of like those peonies coming out of the ground. Two that I pruned heavily and two I did nothing to? Well, can’t believe it, but the two I pruned 2 years ago are still not back to normal- there are flowers and leaves but about 1/3 the volume of the unpruned ones- and that’s 2 yrs now.